Jay Sankey is a Canadian close-up magician, stand-up comedian, and author, best known for his creation of magic effects. He’s an old timer in the business, having been center stage since the mid-1980s and his success in magic hasn’t slowed. Jay Sankey has met some rough patches, like most magicians, as well as his fair share of conflicts. However through the challenges, his magic has shone through and is considered to this day, one of the most original thinkers in the magic world. He’s also one of the finest magic teachers still practicing today. This talent didn’t just magically happen overnight, however. Jay’s gift was evident from a young age. For his 11th birthday, Jay was given a magic toy set that he loved and gave him the inspiration he needed to kickstart his long, windy road to magic stardom. By the age of 18, Jay was traveling the world lecturing about sleight of hand magic to both amateur magician and professionals. Look at it this way: while most of us were beginning to study our passions in university, he was teaching his. That didn’t deter him from entering university, though. He still made time to graduate from the University of Toronto where he enjoyed studying psychology, philosophy and film. This passion and early experience have led Jay Sankey to perform in front of some impressive audiences. We’re talking private parties, banquets and corporate functions for Coca Cola. Honda, Panasonic, Club Med and McDonalds. On top of these hot dogs, he’s also worked as a consultant for some of the world’s most famous names in the magic industry such as Criss Angel, David Blaine and David Copperfield. How’s that for a bio? As a stand-up comedian, Jay has performed in comedy clubs and numerous festivals for years. You may have heard of one of them: Just for Laughs comedy festival. On top of this, Jay has owned one-man shows such as Contents Under Pressure and Borrowed Breath. Contents Under Pressure was such a hit, it was produced later on for television by Sleeping Giant Productions and aired on Bravo. Jay Sankey combines his comedic streak with his love of writing through his book, Zen and the Art of the Monologue along with another book that’s considered to be a staple in the comedy community, Zen and the Art of Stand-Up Comedy. This is one characteristic that really makes Jay stand out from the rest as a unique individual in the magic world: his writing and performing of comedy. Why would this make him stand out in magic? He knows how to perform in front of people, how to get them going, and how to keep them at his every word. He’s headlined comedy clubs in Canada, England, and the US, appearing on CBC and CTV shows, defining his presence in the comedy world. But we’re here for the magic, right? Let’s take a look at some of Jay Sankey’s magician products and tutorials that will hopefully define his true stance in the magician community as one of the best. Jay has spent basically his entire life perfecting his art of magic and cardistry. With all this wisdom and talent, it’s only fair that he shares the knowledge with other admirers and aspiring magicians. We’ve laid out the best products Jay Sankey has provided as a way to help you spearhead the industry by learning tips and tricks from one of the world’s greatest. This transforms something you always carry into incredibly powerful magical tools. Get a spectator to hold onto your ring. While they concentrate, they can feel the ring becoming warm in their hand until they discover they have made the solid ring bend into your specific thought of shape. Jay Sankey offers his expert handling and absolutely everything you need to perform this magical close-up and interactive performance. This package comes with DVD and gimmicks and can be found at the Magic Shop. This DVD helps you learn the secrets to Jay’s entertaining version of the original “Professor’s Nightmare”. Three magicians have their own magic wand and clearly, each magician is convinced that their magic wand is far more superior than anyone else's. The ending scene makes for a shocking surprise where all three ropes mold together to form the world’s longest magical wand. You can use the rope wands for props throughout any show. This DVD also includes a bonus crash course for entertaining kids, providing useful advice for any situation you may have. You can perform Jay Sankey’s Soil for an awesome opening act and wear the bent nail for the remainder of your show. Including a full-length DVD, this trick shows how the nail can be closely examined throughout the entire sequence of bends. Make the nail bend in the spectator’s hands! Coil is adaptable for all styles and performances and can be reset in seconds. It also looks awesome, even in short sleeves. This trick includes a secret gimmick that enables the magician to perform seemingly impossible penetrations, fusions, revelations, and amazingly, a levitation. The gimmick also works with any type of playing cards you may own. Some of the tricks you’ll find in this package are: Aperture, 51Gone, and Collapsible. Aperture – you’ll learn how to slowly push a pencil through a deck of cards, yet causing no destruction or harm to the cards at all. 51Gone – teaches you how to make a deck of cards disappear from inside a card case, leaving a single card in its place. Collapsible – is created by fusing two halves of a deck together into a single, solid pack. This project showcases an amazing collection of Bicycle brand cards, all designed to instill a shocking illusion for audiences to remember for years. It includes card magic that people can see and touch and many of the effects can be handed out to the audience for examination. This package also includes over two hours of mental and magic effects. Some of these effects include: Locomotion, In Case of Emergency, Shift, Sleeping Beauties, Terra Unfirma, Uberchange, Out of Control. Locomotion – involves a selected card being pushed over the surface of another card. In Case of Emergency – involves a prediction being written on the card case, undergoing an amazing transformation. The case is handed out to the audience for examination. Shift – is the black design on a selected card being mysteriously shifted 45 degrees. It then magically shifts back into place. Sleeping Beauties – this includes two faces on the Queen of Diamonds suddenly falling asleep. The card can be handed out to the audience for proof that the Queen’s eyes really do shut. Terra Unfirma – transforms a pretend hold in the card into a real one. Uberchange – changes a card even though a sticker initiated by the spectator has been stuck to its face. Out of Control – includes an amazing 3 climax mental routine that must be seen to be believed. You can learn all of these crazy card changes by Jay through extreme detail and insight that he provides personally. In this set, you can learn how to get card breaks, how to make the best out of card changes, and how to incorporate spectator initials and signature into card work. In this package, you’ll also see Kay discussing the uses of time lapses and the power of bucking cards and confidence, along with the secrets of speed and unbroken rhythms. 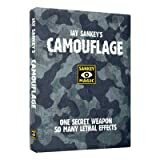 As a bonus, Jay Sankey also provides a number of changes and tricks that people believe to be some of his most valuable sleights of all time. The amazing secrets offered in 22 Blows to the Head include 22 original psychic tricks with spoons, coins, business cards, hole punches, handkerchiefs, matchbooks, newspaper, dollar bills, pay envelopes and of course, playing cards. 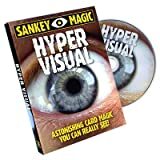 Jay Sankey creates each trick to make your audience believe that you actually possess psychic powers. However, there’s nothing difficult about it! Some of the tricks you’ll find include: Homicide, Laying on of Hands, Simply Divine, Formal Affair, Symbolic, Divided Attention, Confession, Reenactment and Serial Killer. All of these tricks use the simple props in order to convince your audience of your psychic powers. You can become a mind reader or a fortune teller, along with a bunch of other magical traits that only the special and divine hold. You can purchase this set on Sankey Magic. 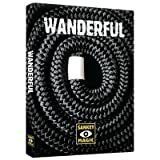 Take on the amazing collection of 34 impromptu effects including incredible routines that require absolutely no set-up of any kind, while using objects borrowed from your audience or passersby. This includes mind-bending magic and mental tricks, no matter what your skill level is. Past, Present, Future – teaches you how to read someone’s mind three times without the need of preshow work or set ups. Seed Money – can help you change two pennies into two dimes. After that, you’ll change both dimes in two half dollars. The Wager – helps you learn how to secretly predict the date on a borrowed coin – 100% free choice. Pawnbroker – allows you to take a borrowed coin and finger ring to change their places three times. On top of these, you’ll also learn Jay Sankey’s Change in Direction, Soft Spot, Hypothesis Production, Heat of the Moment, Inside Out, and Anywhere Wands. Jay has one of the largest followings in the world of magic and still maintains a sense of freshness and ingenuity after many years of stardom. His groups of followers and fans don’t follow him for any reason. He has been influencing magicians for years and continues to come out with new creations that amaze and inspire. From magazines to professional magicians, everyone has something to say about this incredible magician and his ground-breaking abilities to blow audiences’ minds. However, there are a few people who aren’t fans of Jay Sankey and who have even gone to the extent of creating hate groups dedicated to him. While there are perks to the life of a famous magician with thousands of fans, there’s always going to be some people who don’t due to slip-ups or mere personal preferences. Jay’s history is undeniably impressive. From his magic feats to his many faces of stage presence, he has gained a following of loyal fans and admirers that surpasses many other magicians’. This is mainly due to a special combination of skill and creativity. Not only does he continue to trick people into believing the unbelievable, but he does it with unique and unpredictable methods that only a brilliant mind can conjure. Our say on his products? 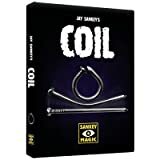 If you’re into props and some of the best magic skills of our time, Jay Sankey’s products are an awesome investment. Not only will you be continually entertained, but you’ll be learning from one of the best magicians in the industry who will undoubtedly inspire you to think like a creative genius.